Do you need to recover deleted files for your Windows? 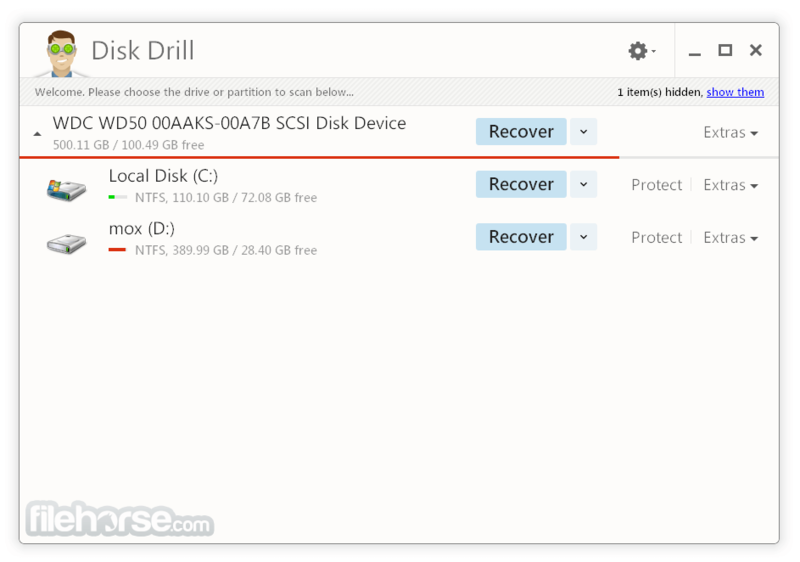 Disk Drill for Windows can recover your data from virtually any storage device. Whatever device you lost data from, if you can connect it to a Windows, this software can scan it and has a good chance of recovering your lost data. Even if you're currently having issues accessing your hard drive or external device directly, there's a possibility free data recovery software for Windows can rescue data from it. It means recovery for all major file types and file systems. 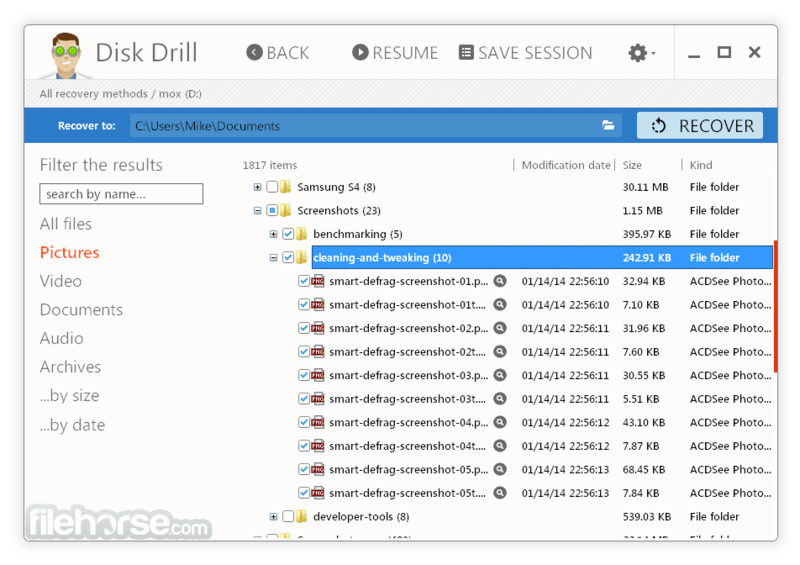 If you install Disk Drill after a data loss, you can scan and preview your lost files for free with Disk Drill for PC Basic. Once you are sure that your files can be recovered, you can quickly upgrade to Disk Drill PRO or Enterprise to get your data back. However, if you install the software before you lose any data and turn on its data protection features, you can recover your files for free, without upgrading. Guaranteed Recovery invisibly makes copies of deleted files and folders you put in your PC's Trash; Recovery Vault keeps records of all metadata for deleted files, so that they can quickly be recovered with names and file locations intact. S.M.A.R.T. Monitoring warns you of hard drive trouble before it fails. It has several different recovery algorithms, including Undelete Protected Data, Quick Scan and Deep Scan. It will run through them one at a time until your lost data is found. It’s as easy as one click: The program scans start with just the click of a button. There’s no complicated interface with too many options, just click, sit back and wait for your files to appear. Different types of hard drives and memory cards have different ways of storing data. Whether your media has a FAT, exFAT or NTFS file system, is HFS+ Mac drive or Linux EXT2/3/4, It can recover deleted files. Sometimes your data is still on your drive, but a partition has been lost or reformatted. It can help you find the “map” to your old partition and rebuild it, so your files can be recovered.